Spirit of Ethan Allen – Come Cruise With Us! For an unforgettable experience, just add water! Join us cruising on beautiful Lake Champlain, nestled in the heart of Burlington, Vermont. 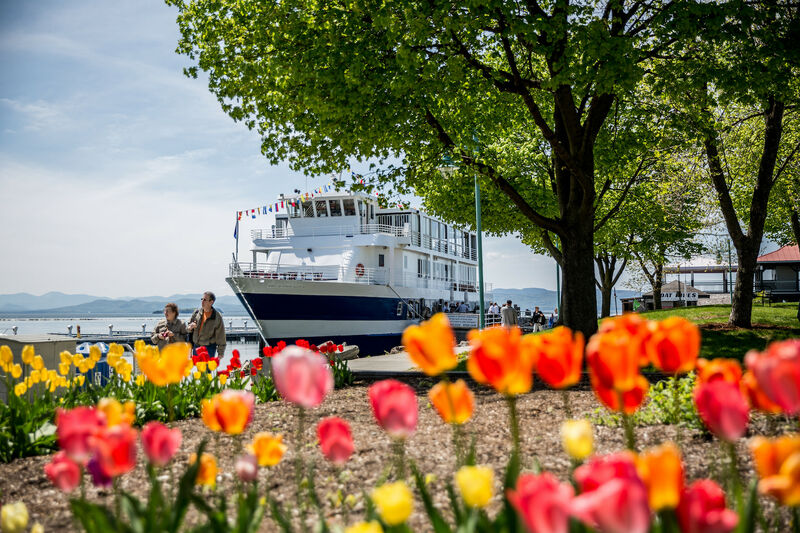 We are the only cruise ship located on Lake Champlain, and offer breathtaking views of the city, the Green Mountains of Vermont, and the New York Adirondacks. We love celebrating Vermont tourism, and are happy to show you our favorite little slice of Vermont. We are nestled along the Burlington Waterfront, just a stone’s throw away from Church Street Marketplace!